Based out of downtown Los Angeles fashion district, Minuet has captured the eye of fashionistas, fashion experts, and those who love high-quality and stylish items at accessible prices. With its top-level designer styles and finishes, and sophisticated edge, Minuet is a fast-growing young contemporary women’s wholesale clothing line in North America. Minuet brings together the better of the two worlds –exquisite designs and unmatched elegance — in their much-loved dresses. The wholesale fashion brand has a special knack for producing top-shelf Night to Day and Special Occasion dresses as well as Evening Attire. It’s no wonder Minuet has been featured in several different national style magazines and fashion journals. Minuet has burgeoned over the years to become one of the most sought-after dress attire brands in Los Angeles Fashion District. Their wholesale clothing has been sold in a wide range of specialty boutiques, corner beauty stores, large department stores, and online retailers like Walmart, JCPenney, and Target. Established in 2007, Minuet prides itself on being the go-to women’s wholesale clothing brand in LA Fashion District. Since its launch, the wholesale fashion company has cut a niche for itself in offering unmatched excellence in design and style. They specialize in all things social dresses, from minis and midis to bodycon and everything in between. More importantly, the Los Angeles brand has gained popularity for a great selection of casual, Special Occasion, Homecoming & Prom, Wedding Party dresses and everyday fashion at incredibly low prices. Where to Buy Minuet Wholesale Fashion? Although the women’s wholesale clothing brand has a physical store at 800 E 12TH STREET #114, LOS ANGELES CA, 90021, you can also shop for Minuet items from its robust and easy-to-navigate online store and website [minuetonline.com]. Besides, you can buy Minuet fashion products from a variety of other e-commerce platforms, including orangeshine.com, fashiongo.net, shoptiques.com, Amazon, eBay, shopstyle.com, and many others. What to Love about Minuet? 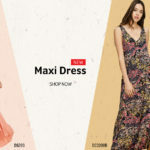 A growing list of big-box retailers, corner shop boutiques, and upscale clothing stores flock to Minuet online stores and physical showroom to get the latest dresses for their aisles. More importantly, however, Minuet has made it super easy to shop for the wholesale fashion items by creating well-organized and easy-to-browse categories. Whether you need a bunch of jumpsuits, skirts or dresses, you will have no trouble finding what you want. The New Arrival section is always updated, taking the hassle out of researching for new additions to your store. Above all, Minuet wholesale prices are quite affordable compared to many other LA Fashion District brands in the caliber.